Our lawns are starting to green up well. Troublesome weeds are rearing their ugly heads also. Well, depending upon one’s perspective some are quite attractive. The common violet is a prime example. Those bright bluish-purple flowers and heart-shaped leaves would be quite welcome if they weren’t entangled in our grass. Upon closer look, those showy flowers are rather unique. Many are sterile. Flowers that produce large amounts of seed are little brown inconspicuous ones that never open. Fall is when most of them develop. They usually produce enough seed to populate our lawns and flowerbeds. The genus Viola is one of the more common genera in the US. Numerous species abound, and many are host to different butterfly larvae. Despite being food for the caterpillars, violet numbers don’t seem to dwindle. Quite the contrary, they spread aggressively. Don’t believe what the classic poets write. Violets are not shy. 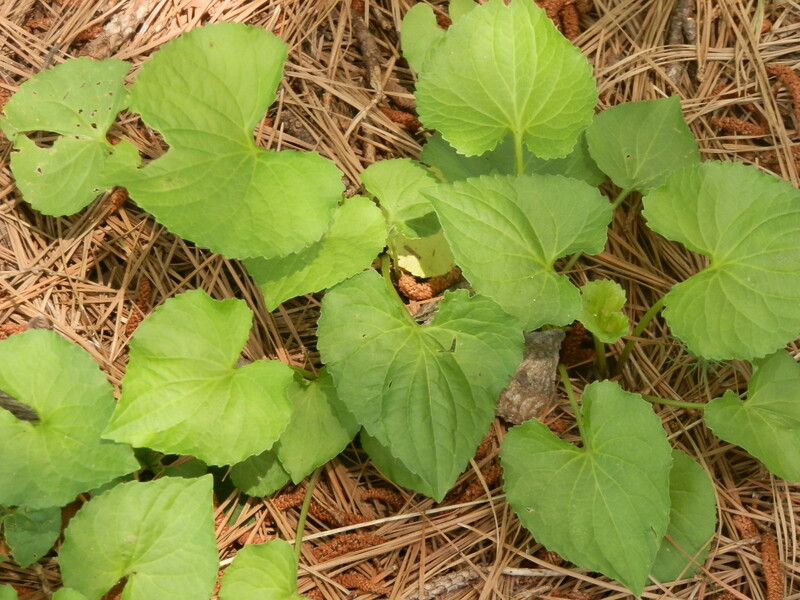 Wild violets are perennials less than six inches tall with deep taproots and spreading underground stems called rhizomes. They thrive in cool weather, moist or dry soils, and tolerate sun or shade. Their showy heart-shaped foliage has a waxy layer that sheds water and resists chemicals. Consequently, violets are hard to kill and once established will be a familiar sight. Repeat applications of herbicide are usually necessary. Still success is far from a guarantee. Most people learn that when declaring war on them. Usually they wind up injuring their turf more than the violets. Furthermore, few chemicals are truly effective against these pesky foes, particularly in native Bermudagrass turf. Sometimes spot treating with a nonselective chemical like Round-up works. Digging them out is also a possibility, especially in smaller areas. Spring is probably the best time to remove them, but weeding is a lot of work. When mowing, always clean the underside of the deck thoroughly afterwards. This avoids spreading this pest to other parts of your yard. There can be a bright side. Violets are edible and nutritious. The late Euell Gibbons once referred to them as ‘natures vitamin pill.’ The flowers make a great garnish for salads and cakes. They even make a beautiful and tasty jelly and are also very high in vitamin C. Ascorbic acid content is even higher than in citrus fruits. 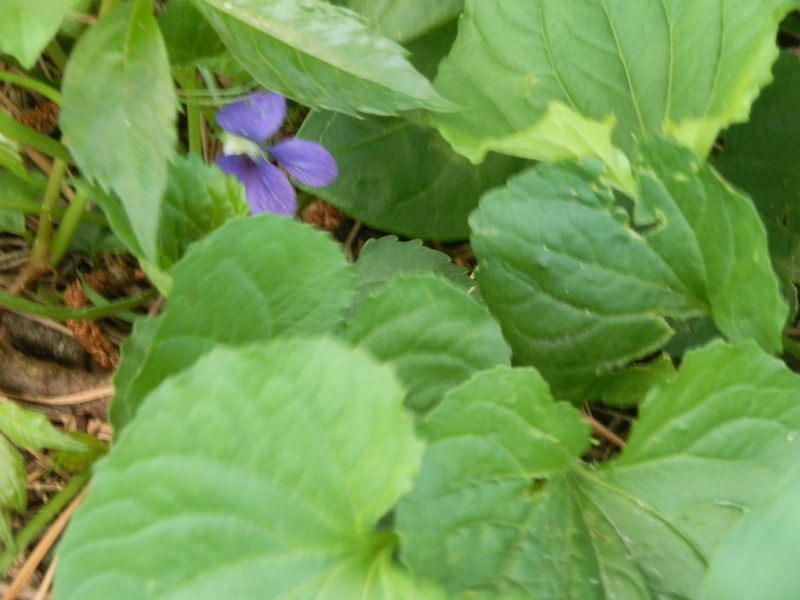 Leaves and flowers of the violet are considered blood purifiers or detoxifiers. Violets contain rutin which strengthens the capillaries. Leaves have a taste that is somewhat sweet with a slight peppery bite. They add texture to spring salad and have mucilage that can thicken a soup. Leaves are also a good source of vitamin A. When dried they make a decent tea. Violets are a diuretic and can lessen some urinary and bladder problems. They are also used in some skin care products. The foliage also contains salicylates, so they can be used as an analgesic. Pansies are close domestic cousins with many similar properties. Some natural food stores sell their flowers along with nasturtium for people to eat. They’re pricy, so I have other uses for my money. 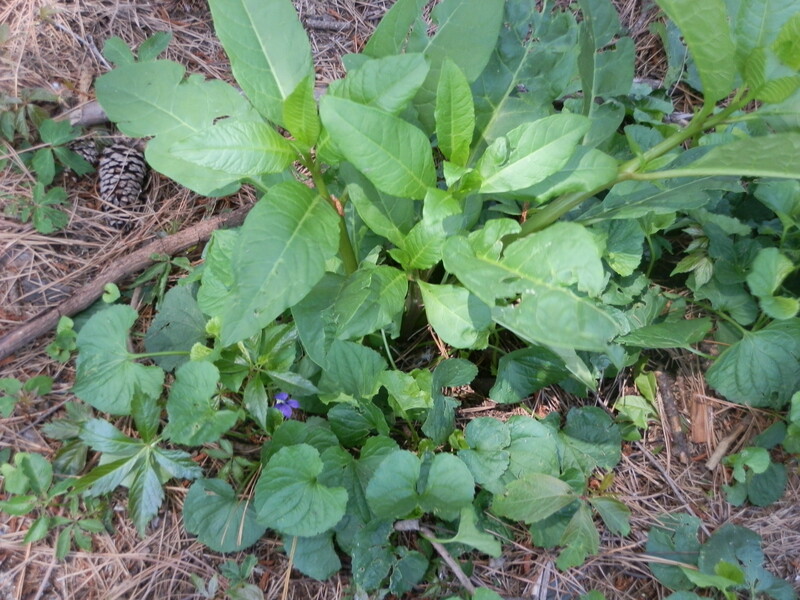 This entry was posted in foraging and tagged diuretic, edible, flowers, foraging, nature, salicylates, Viola, violets, vitamin c. Bookmark the permalink. These violets are very aggravating. They seem to pop up here and there in my yard. I usually see them out in open fields and along the highway while riding. My dad usually sprays weed killer to keep these plants from out of our yard. i see these quite a bit, they have a pretty color to them but they are no fun to get rid of.